March 8, 2012 / P.J. 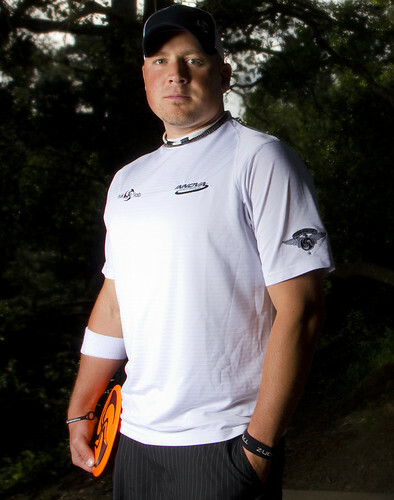 The staff of Rattling Chains is proud to announce that 2009 Professional Disc Golf Association (PDGA) World Champion Avery Jenkins will be blogging with RattlingChains.com during the 2012 season. Jenkins will bring his views, thoughts and reactions to being on the road this year. It will be a good view of life on the road from the eyes of one of the top pros in the world. Jenkins, as of Feb. 14, is a 1027 rated played by the PDGA. In 2011, he played in 24 PDGA sanctioned tournaments (plus the National Tour series). Of those 24 tournaments, Jenkins had one victory, five runner-up finishes and one third-place finish. Jenkins, one of the most well-known and easily approachable professionals on the tour, won the 2009 World Championship and is a member of the 12-player Innova Star team. The 2012 season marks his 13th on tour. According to the PDGA site and Jenkins’ player profile, he has won 42 tournaments since 2001. His first blog post, a wrap of his 2011 season, will appear Friday (March 9) on RattlingChains.com. Very nice addition, PJ !! I look forward to reading what he’s got to say ! Thanks, Jeff! We’re excited that Avery was willing to blog for us periodically! PJ, you guys are tearing it up over there. 2 links from the PDGA Weekly update and Avery as a guest blogger are solid. Well done. Can’t wait to read what he has to say.